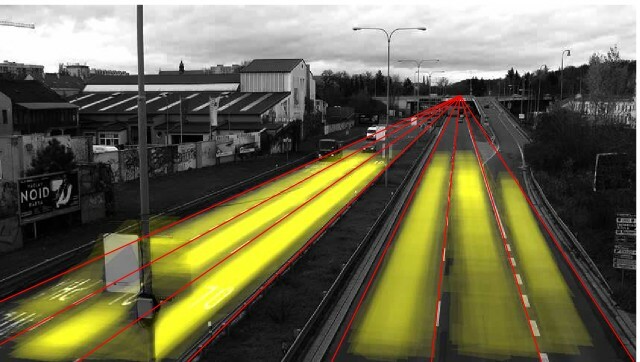 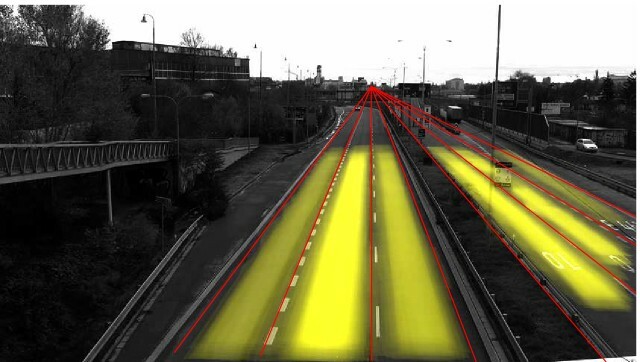 We propose a method for fully automatic calibration of traffic surveillance cameras. 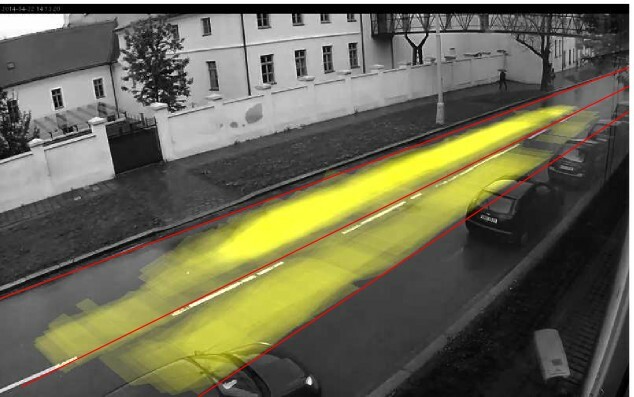 This method allows for calibration of the camera - including scale - without any user input, only from several minutes of input surveillance video. 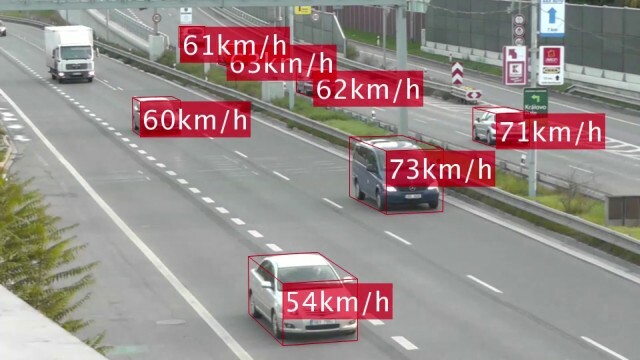 The targeted applications include speed measurement, measurement of vehicle dimensions, vehicle classification, etc. 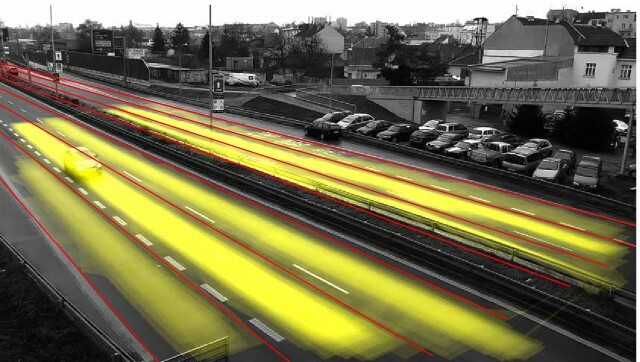 The first step of our approach is camera calibration by determining three vanishing points defining the stream of vehicles. 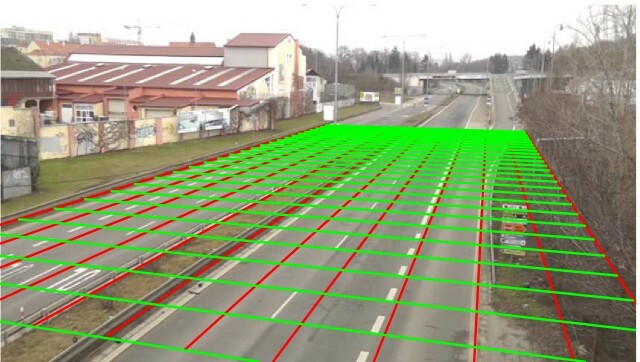 The second step is construction of 3D bounding boxes of individual vehicles and their measurement up to scale. 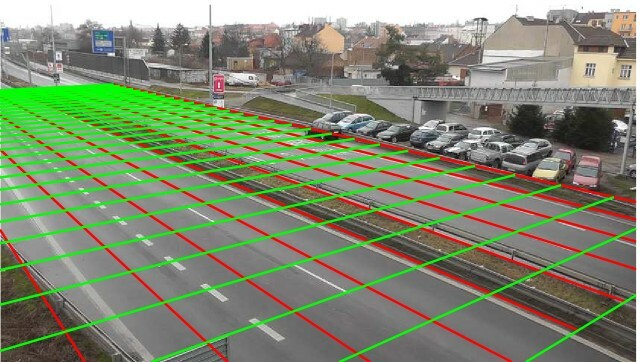 We propose to first construct the projection of the bounding boxes and then, by using the camera calibration obtained earlier, create their 3D representation. 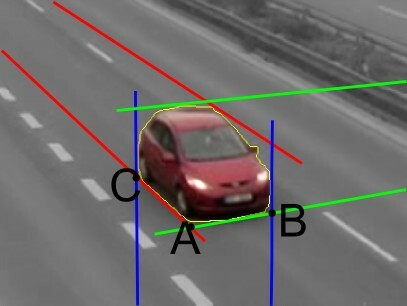 In the third step, we use the dimensions of the 3D bounding boxes for calibration of the scene scale. 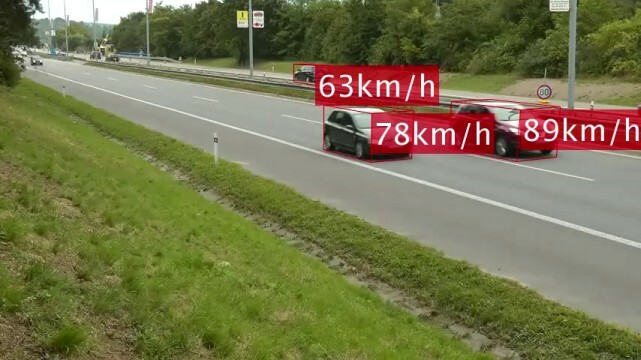 We collected a dataset with ground truth speed and distance measurements and evaluate our approach on it. 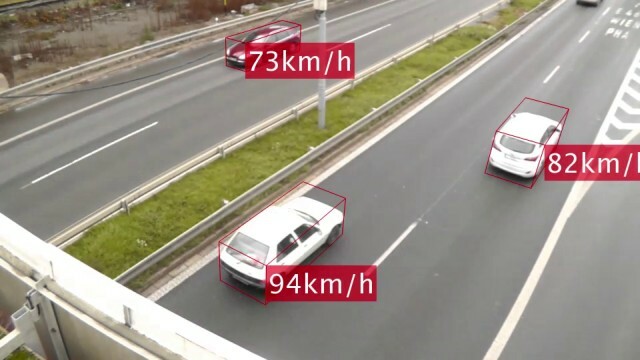 The achieved mean accuracy of speed and distance measurement is below 2%. 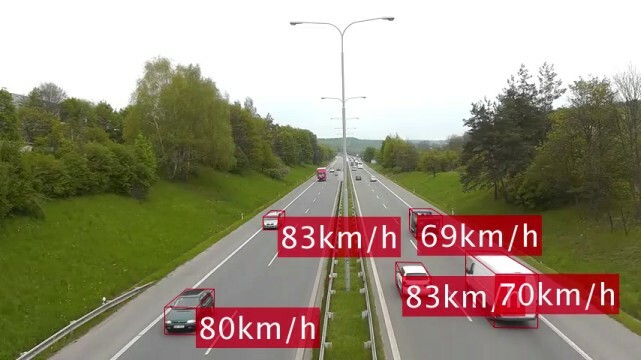 Our efficient C++ implementation runs in real time on a low-end processor (Core i3) with a safe margin even for full-HD videos. 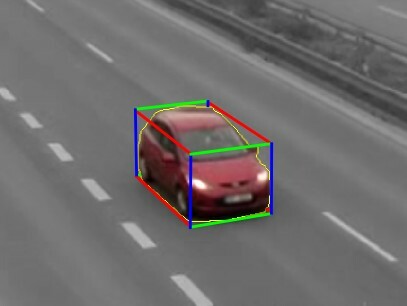 This work was supported by TACR project V3C, TE01020415.